Immaculate girls cross country coach Brian Hayes was named Connecticut Coach of the Year by USA Track & Field. 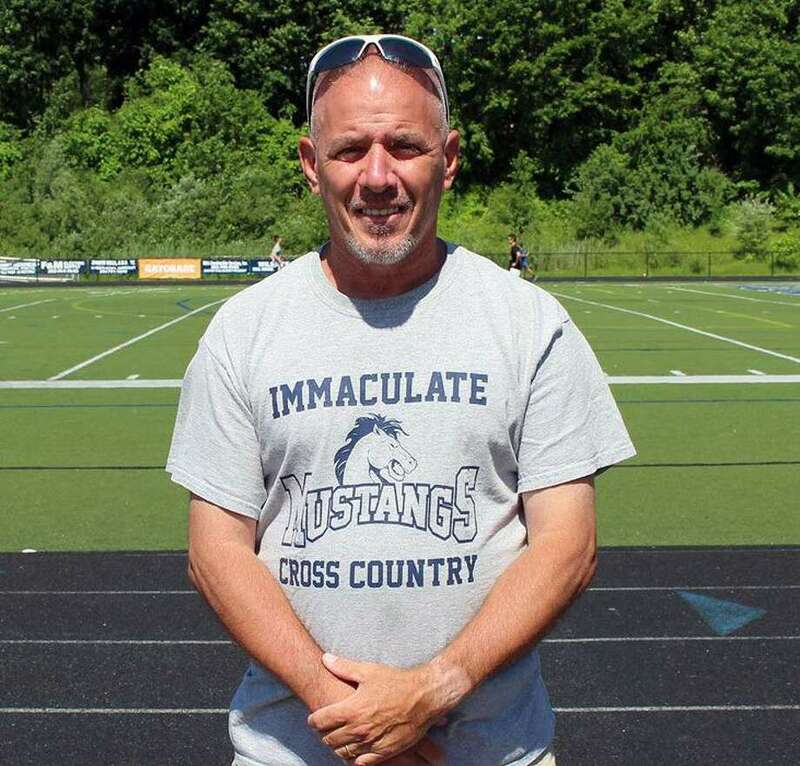 Immaculate’s Brian Hayes was recently named the United States Track and Field Cross Country Coaches Association’s Girls Cross Country Coach of the Year for Connecticut. The award is given annually by the USTFCCCA to a boys and girls coach from each state. Hayes is also a candidate for the National Coach of the Year award. Immaculate won the SWC and Class SS titles before finishing second at the State Open by a single point. The Mustangs finished third out of 30 squads at Englands, the top spot for any team from Connecticut. Hayes also coached the boys team to a Class SS state title, the first in program history. Hayes began coaching at the school in 2004.